Syngenta Huddersfield Manufacturing Centre has received recognition from Leeds City Region Enterprise Partnership (LEP) for the economic contribution it makes to the region. 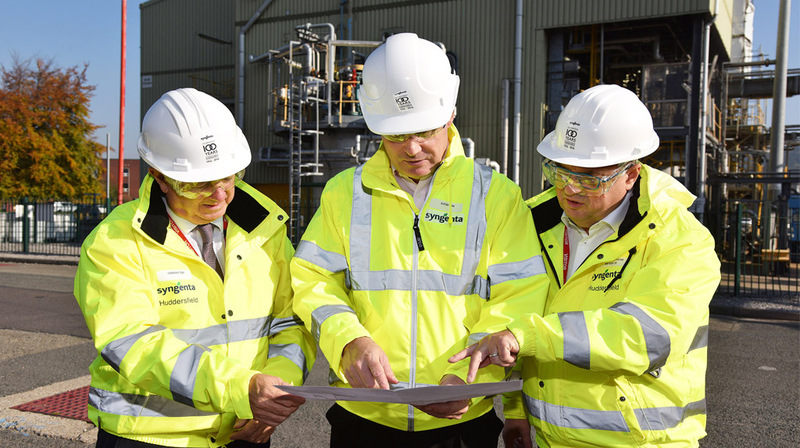 Chair of the LEP, Roger Marsh OBE, recently visited Syngenta’s Leeds Road site which positively impacts the regional economy by £65 Million. The Leeds Road based crop science company manufactures crop protection products used by farmers around the World. 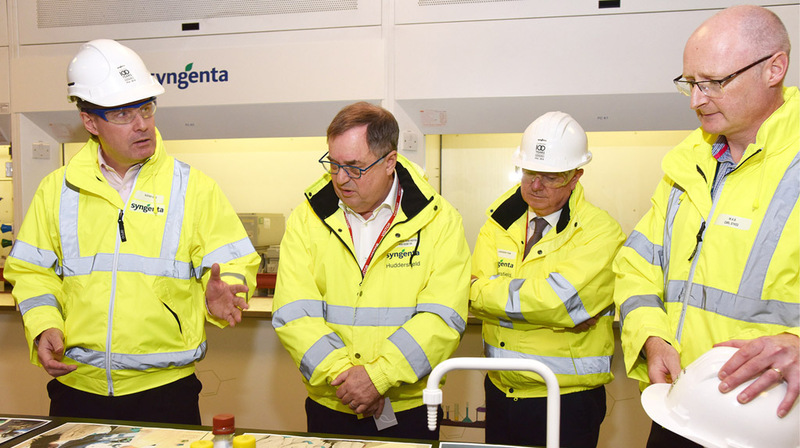 Mr Marsh was given a tour of Syngenta’s operations after being introduced by fellow LEP Board member, University of Huddersfield Vice Chancellor Bob Cryan. 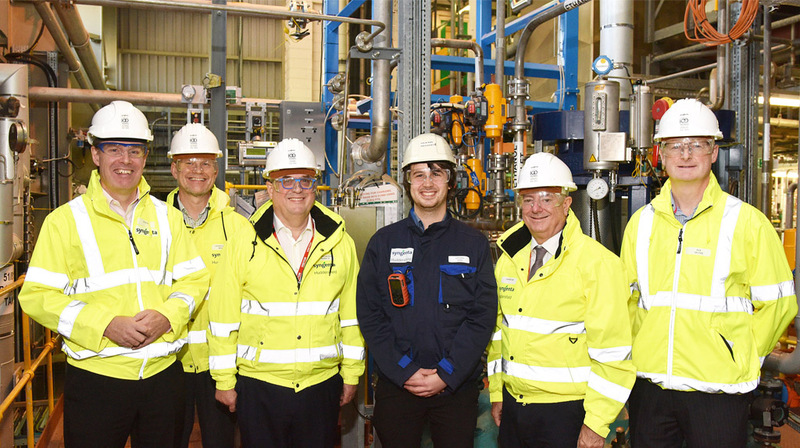 Mr Marsh met apprentices, staff, and senior managers to learn more about Syngenta, its future plans and opportunities for further collaboration at regional level. Despite being a multinational organisation, Syngenta has a strong northern UK presence to its business. Its Global Operations Centre is based in Manchester and the Huddersfield site alone spends £17 Million each year on supply and service contracts. All of those contract providers have local branches in the North of England and more than half of that money is spent with companies that have Head Offices north of Manchester. Last year, Syngenta spent £5 Million with suppliers within 20 miles of the site’s location. It is an approach that reflects the LEP’s vision to unlock the region’s economic potential by enabling businesses to grow and develop with the goal of stimulating growth. Syngenta is investing in people and skills for the future as well as equipment. The Huddersfield site directly employs 400 staff with Syngenta and through service contracts, provides more jobs for another 300 people. Most of those 700 jobs are in highly skilled roles, including chemists, engineers and technical production staff. Over the past nine years, Syngenta has recruited more than 50 people through its Advanced Apprenticeship scheme and impressively, 95% of them have stayed and are now employed by the Company. Through targeted investment in its site assets and developing the right people skills needed to carry the business forward, Huddersfield Manufacturing Centre is well placed to deliver for Syngenta and embrace the opportunities that the LEP can bring to the region.